STS-133 had remained on track for the retraction of the Rotating Service Structure (RSS) at 7pm on Tuesday evening (local time), following the completion of tasks associated with the loading of the Power Reactant Storage and Distribution (PRSD) system. “Yesterday’s activities centered on the preparations for and then the loading of the PRSD on-board commodities. Both LO2 and LH2 servicing were completed without issue,” noted Tuesday’s NASA Test Director (NTD) update (L2). As per S0007 (Launch Countdown) tasks, engineers worked through preparations for the loading of LH2 and LO2 (LOX) into Discovery’s External Tank on Tuesday morning, which included inspections of the LO2 feedline. Tanking was scheduled to begin at 6:27am local time on Wednesday ahead of the delay. As expected, an Interim Problem Report (IPR-54) – relating to a missing digit on a timer display – was cleared as no constraint to launch, after it was discussed with STS-133 Commander Steve Lindsey. “IPR 54: Picked up IPR against Forward Event Timer, 10th digit top left is out. Troubleshooting (T/S) plan is to look at Fault Light documentation. Constraint is S0007.200 15-507. T/S reveals Event Timer operating nominally with one segment out. MR (Material Review) to fly as-is, the test team is in concurrence,” the NTD listed on Tuesday. The S0007 flow was also two hours down early on Tuesday, due to an outage on the pad’s Gaseous Nitrogen system – requiring the replacement of a couple of valves. Once complete, the flow soon returned back on to the nominal timeline. IPR’s 56 and 57 were also charged to Discovery’s pad flow on the latest report, both of which were closed. “IPR 56: During sampling the PRSD H2 backup sample melon inlet valve was closed and should have been open. The sample performed on the primary melon was good and the IPR will be closed as human error,” added the NTD report. “IPR 57: The ET pre-press anti ice heater did not come on when activated. Troubleshooting in MLP (Mobile Launch Platform) compartment 33B revealed a loose wire. The wire was tightened and the heater is performing nominally. 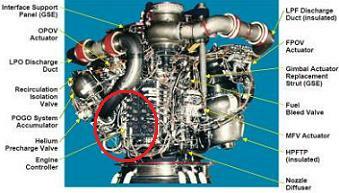 Tuesday’s flow also saw engineers and technicians move into SSME (Space Shuttle Main Engine) avionics and pneumatics checkout tasks, although they were put on hold due to the latest problem, IPR-58 – an issue relating to checks on the three redundant Main Engine Controllers (MEC). 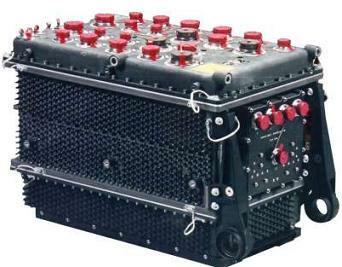 “IPR 58 to CCME (SSME Controller Engineer Console): While performing the bus redundancy test on the main engine controllers, CCME reported Engine 1 and 2 performed nominally, however, Engine #3 redundant controller did not activate,” the NTD outlined. Pressure, temperature, pump speed, flowrate, and position sensors supply the input signals. Output signals operate spark igniters, solenoid valves, and hydraulic actuators. 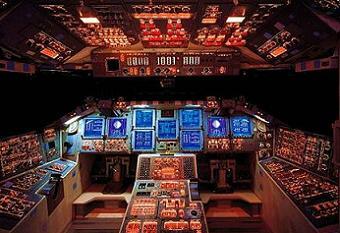 The controller is dual redundant, which give it normal, fail-operate, and fail-safe operational mode capability. The problem was specific to the redundant controller on ME-3. An Engineering Review Board (ERB) met early in the morning to discuss the root cause and a troubleshooting plan to verify the function of the Controller. NTD Steven Payne also noted during Tuesday’s media briefing that once switches on the flight deck had cycled the controller, its condition – believed to be related to a transient contamination – had returned to normal. Mr Payne also noted that only the associated paperwork was outstanding to clear the IPR – which was classed as a constraint to the MEC power up/avionics checkout portion of S0007 (scheduled for the early hours of Wednesday) – from the flow. However, NASA then announced managers would meet at a 5pm MMT to discuss the data gained throughout the day on the redundant controller, suggesting confidence in the controller’s ability to support the launch might still be in question. The MMT decided to delay the launch. Historical records show a MEC IPR associated with STS-90, which was initiated on 3-31-98 and closed on 4-11-98, after a failed electrical circuit breaker was restored on Columbia’s Main Engine 2. 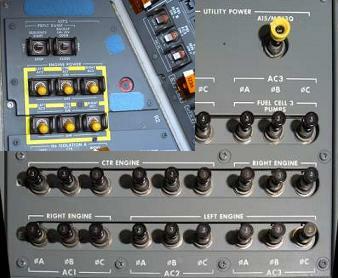 An engine controller was also replaced back on STS-43, taking a week to complete at the pad. UPDATE: Panel L-4 circuit breakers were cycled 5 times overnight and MECs were powered up with no anomalies documented. ERB has met. MMT meeting now taking place. (Updates will be added to this article. Refer to the updates thread linked above for STS-133 and L2’s live internal updates on the L2 STS-133 Section).